THE UK government has failed to deliver on its pledge to end secrecy over political donations in Northern Ireland, sparking heavy criticism from the electoral watchdog. The head of the Electoral Commission in Northern Ireland, Ann Watt, said she was “extremely disappointed" that the commission was unable to publish information on how political parties are funded here. Ms Watt said: "The continuing secrecy only serves to undermine trust and confidence amongst the public in the democratic process. 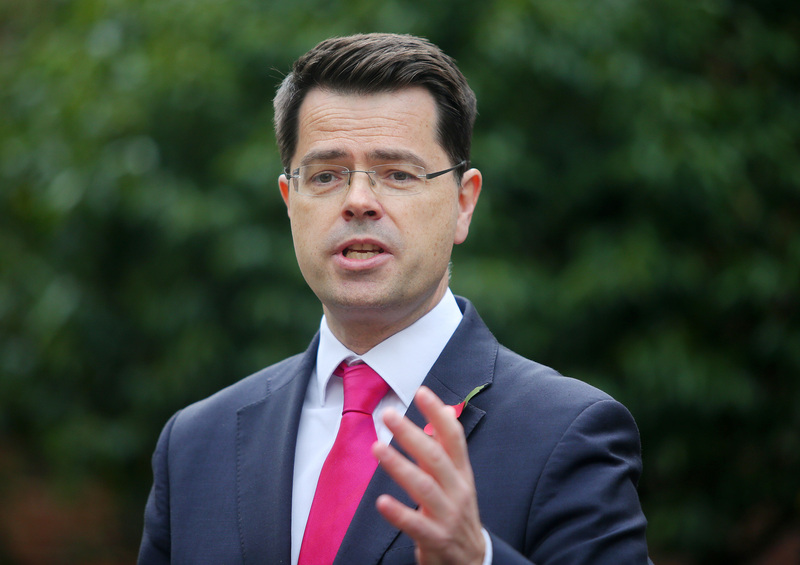 Secretary of State for Northern Ireland James Brokenshire had said in July that he would be bringing forward legislation that would enable the publication of donor information from autumn this year. However a statement issued by Electoral Commission today revealed that the government had failed to do this. Under current legislation the identity of political donors is not published in Northern Ireland for security reasons but James Brokenshire had previously committed to bring forward legislation which would permit the publication of donations of over £7,500. At the time, the head of the Electoral Commission in Northern Ireland Ann Watt also said she expected the first donation and loan report to be published in the autumn. The Electoral Commission today published information on donations made to political parties across the UK, apart from Northern Ireland. The commission said it had expected to publish the first set of data on donations to Northern Ireland political parties today. In her statement issued this morning Ms Watt said: "We are extremely dissappointed that we are unable to provide the public with the information they expected on how political parties in Northern Ireland are funded." She added: "The commission urges the UK Government to immediately bring forward this legislation to allow us to publish this information as soon as possible." In a previous interview with The Detail Miss Watt had signalled that the government’s reforms on donations may not go far enough. If the government did introduce the changes at some point in the future it will only permit the publication of donations of over £7,500. The latest developments come as the UK government's Northern Ireland Office (NIO) have refused several Freedom of Information requests by The Detail to release information it holds on Northern Ireland political party donations. In April this year The Detail sent a Freedom of Information request to the Northern Ireland Office (NIO) asking for a copy of all files it held including correspondence, emails, letters, memos, minutes of meeting, briefing documents, research or reviews during the previous six months that referred to the issue of political party donations in Northern Ireland.